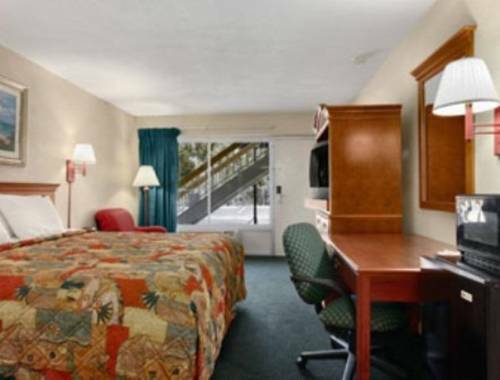 A good night and great savings awaits guests at the Rodeway Inn hotel in Leesburg, FL near Lake Square Mall. Our Leesburg hotel is centrally-located, providing easy access to the Leesburg Historical Museum, the Mote-Morris House and the Venetian Garden, as well as events like Bike Week in April. We are also a short drive away from Orlando and Tampa and attractions like Walt Disney World, Tampa Busch Gardens and Universal Studios. We are also close to some of the best sporting and gaming in the region, so you can enjoy a weekend fishing expedition or enjoy an extended stay through hunting season. Amenities include Free WiFi and free coffee. All guest rooms offer a 42-inch TV, desk, microwave and refrigerator. Earn rewards with every stay with our Choice Privileges Rewards program. Pets Allowed, 10.00 USD Per Night, Per Pet. 50 lbs max, 2 Pets Per Room.